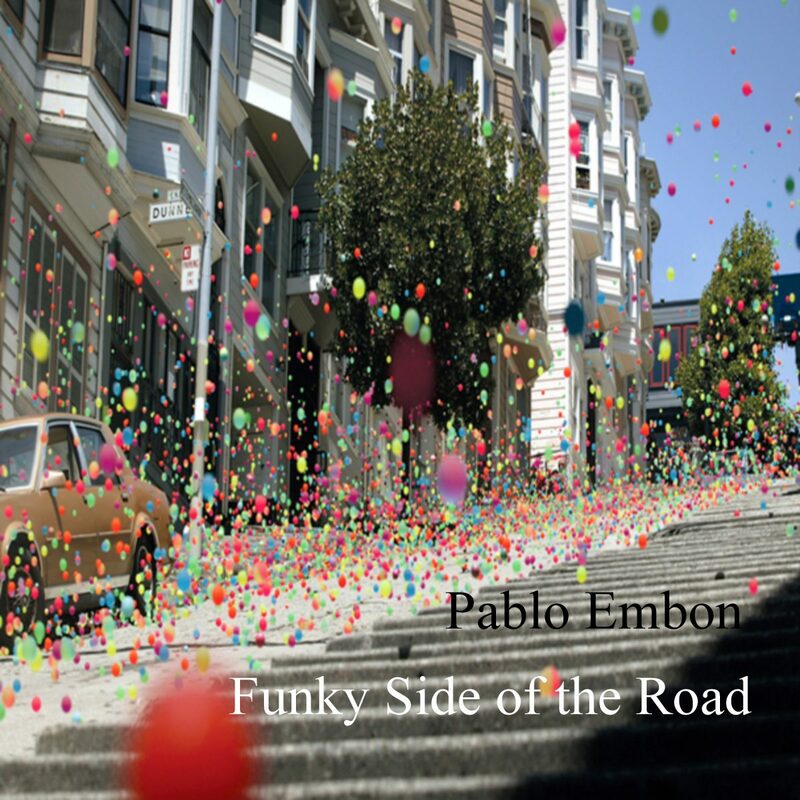 Pablo Embon immediately starts off Funky Side of the Road with Is That You, a track that deftly unites 1990s jazz with the more experimental modern (1950s/1960s) and fusion jazz styles. The narrative that is weaved through this track needs no vocals; Embon’s arrangements and dynamics (percussion / guitar, piano/ bass) make a fairly lighthearted opening something substantially more intricate than it seems. Golden Peak is a much more heady effort. There are a number of distinct paths that fans can take during this track. For example, the splashier pianos have a bit of a spontaneous sound, while the bass is much more angular and neat. It is during Golden Peak that we see Embon’s own unique sound showcased. Wedding Day is a delightful mash-up, simultaneously touching upon the Harlem scene of the 1920s and 1930s and the more cosmopolitian, funk-infused sound of the 1970s. Our Last Dance slows things down nicely, showcasing a different side to Embon than had been common place. This more introspective composition opens into a deliberate, spot-on callback to a forties/fifties sound; Embon’s decision to include strings during this effort spins the release into a bold new direction. The Time Has Come further showcases Embon’s Protean nature. So many styles and influences make their presence known during Funky Side of the Road, but this track is particularly nuanced. Listeners would do well to focus in and hear each note, as some bits and bobs at the periphery may be missed. Funky Side of the Road concludes with Fool’s Game, an effort which does well in taking on the standards of classical Spanish guitar and the folk stylings of the mid-1970s. This concluding effort ends Embon’s latest as strongly as it began.